﻿ InnSide by Melia Dresden Hotel (INNSIDE by Melia Dresden) Dresden. JIMAT di Agoda.com! Ada soalan mengenai InnSide by Melia Dresden Hotel (INNSIDE by Melia Dresden)? Terletak pada kedudukan yang baik di kawasan budaya, restoran, siar-siar di bandar Dresden, InnSide by Melia Dresden Hotel menyediakan tempat yang paling sesuai untuk anda berehat seketika dari kesibukan hari anda. Hotel ini tidak terlalu jauh dari pusat bandar: hanya sejauh 0. Km, dan kebiasaanya mengambil masa kira-kira 25 minit untuk sampai di lapangan terbang. Juga terletak berdekatan adalah Festung Dresden, Albertinum, Bruhlsche Terrasse. Melia International Hotels terkenal kerana perkhidmatan yang berkualiti dan kakitangan yang ramah, dan InnSide by Melia Dresden Hotel ternyata seperti yang dijangkakan. Hotel ini menyediakan akses kepada pelbagai perkhidmatan yang luas, termasuklah Wi-Fi percuma semua bilik, meja depan 24 jam, fasiliti tetamu kurang upaya, simpanan bagasi, Wi-Fi di tempat awam. Tetamu boleh memilih dari 180 bilik, semuanya yang akan memberikan suasana ketenangan dan keharmonian. Senarai lengkap kemudahan rekreasi boleh didapati di hotel, termasuk pusat kecergasan, sauna, spa, rumah urut, bilik wap. 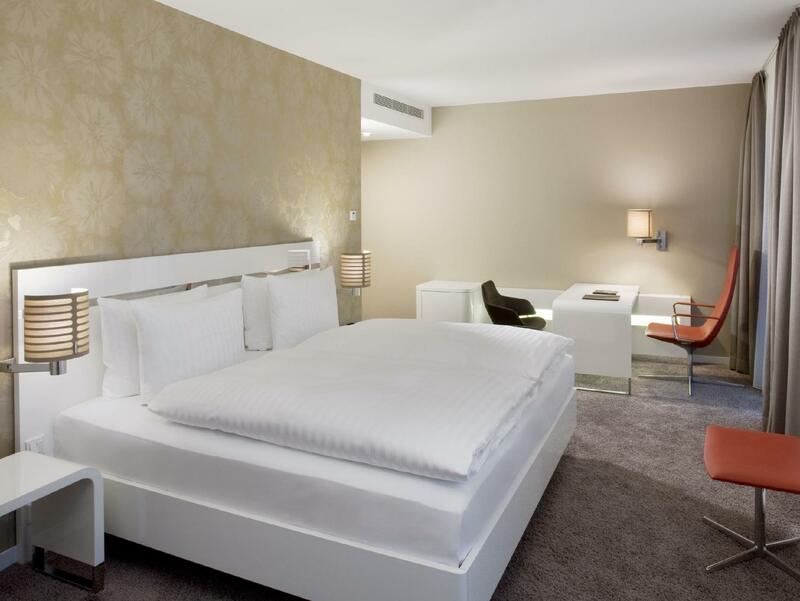 Apa juga tujuan lawatan, InnSide by Melia Dresden Hotel merupakan pilihan yang terbaik bagi penginapan anda di Dresden. Pihak penginapan boleh menyimpan bagasi anda di meja depan sebelum pendaftaran masuk dan selepas pendaftaran keluar. Bagaimanapun, pihak penginapan hanya boleh menyimpan bagasi anda pada tarikh daftar masuk/keluar. It's one of the best hotels we've ever seen. The room was very spacious, modern and cosy at the same time. Everything inside the hotel is new and well maintained. It's situated just inside the historical center, so you don't need any time at all to get to all the sightseeing places. Hotel has its own underground parking, though rather expensive - 23 euro per day. Great Location, would do it again. It was ok. Good for a short stay. Toilet is rather small. Some staff were apathetic. New and spacious. Friendly staff. Comfortable stay. It is an excellent stay at melia. If you want me to name one down side, it is the limited wifi. 100MB per day. Many places have already offered unlimited wifi. Otherwise, it's one of the highlights in our stay at Dresden. Our stay was fine. The room was comfortable and clean. The hotel had a posh vibe, but it felt more suited to business travelers than to couples in their 20s/30s like us. The thing that bothered us was that we felt the hotel tried to get us to spend more at every turn. Three instances: (1) the first and only restaurant they recommended was their own; (2) we had to pay an extra 5 euros to connect a second device to wifi; (3) bike rentals were 12 euros each. Overall it was worth it for the location, but we left with an icky feeling about the place. (Note we did not try the food here). Free wifi in rooms would be expected in a hotel of this quality. Innside by Melia is a high quality design / butique / business hotel, which caters to the mid-upper class of travelers, sometimes verging on luxury. 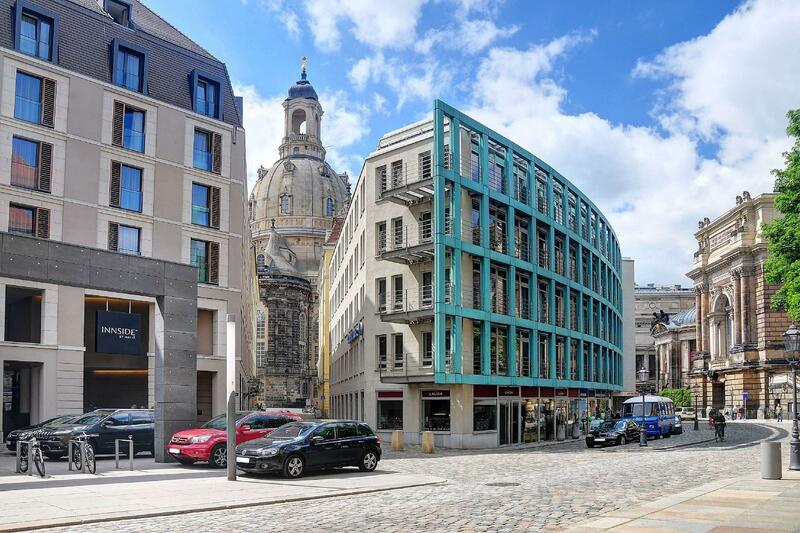 It's situated right in the heart of Dresden, almost all of the views are in easy walking distance, no need to bring a car. 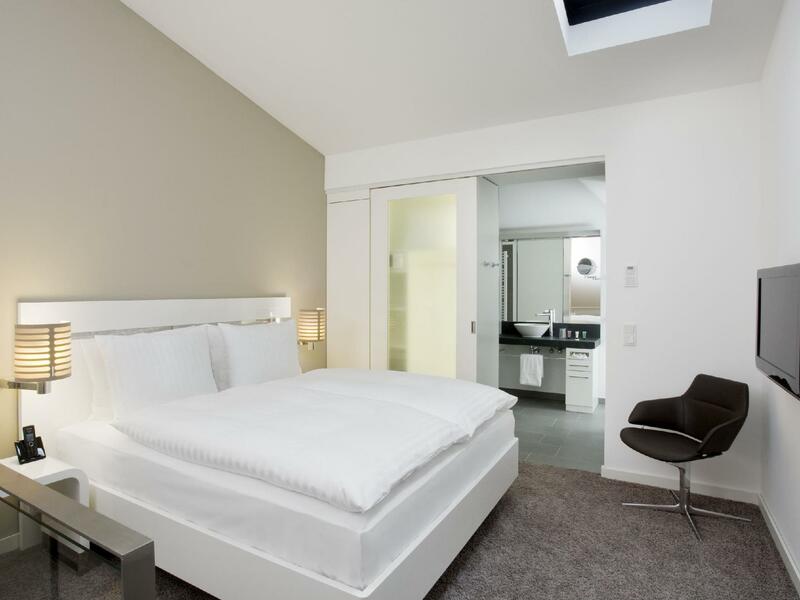 Service is smooth and highly impersonal, do not expect the warmness of a small family run inn, which are so characteristic of south east Germany. The design is impecable, rooms are spacious, well thought through and spottless. You are surrounded by high quality objects, from your bathroom tub through the leather sofa in your room to the bathroom amenities - in harmony with the image and the price of the place. Breakfast is nice, but you can find fabulous restaurants not too far away, so you might want to skip it (at EUR per person it's on par with a Bib Gourmand restaurant). Nonetheless, the experience is remarkable, it's comparable to driving a high end German car - none of the personality of an Alfa, but none of the flaws either. Beautiful interior of the hotel. Nice staff. In the middle of all the attractions. We enjoyed our stay at this hotel very much. It made our trip very relaxing and more enjoyable. Great hotel and near everything. We were only here a night but it was great! The room was huge and very modern. Would be great if it includes wifi access. Just rignt by the center of old town, very convenient for sight seeing. nice hotel and great location, right at the old town! we had a great time in dreden and a nice stay at the hotel. but just surprise that this hotel doesn't have complimentary coffee and tea, electric kettle in room. we stayed there three nights and talked to front desk people a few times, out of four people, only one of them was very friendly and helpful. other front desk stuff weren't very helpful! The rooms were very clean and spacious. The hotel is located in the city center, and you can park your car in the garage. I would definitely stay in this hotel again. Fina rum. Allt känns nytt. Trevlig personal. Parkeringhus kostar 20€ per dygn. Frukosten på hotellet kostar 20€, runt hörnet kan man få frukost för 4-7€! Notera att wifi kostar 5€ per dygn. Man kan fritt låna dator i receptionen.